Besides having a rich culture, Iceland has a breathtakingly beautiful landscape and is definitely worth your time. 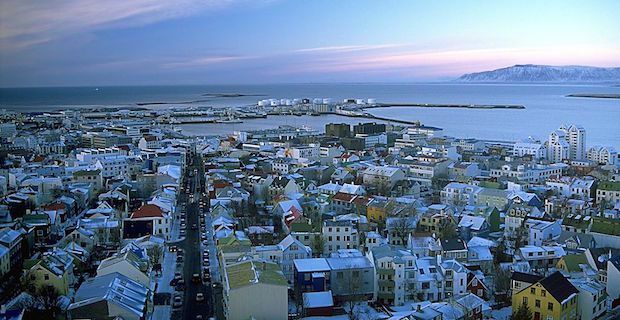 The capital and largest city Reykjavik has plenty to see and do, but if you want to get out of town, there is a lot to explore around the country as well. One of the most popular sights in the city is the famous Hallgrimskirkja Church. Architecturally inspired by the Svartifoss Waterfall, this structure is a sight to behold. The £4 entrance fee opens the doors to an amazing pipe organ as well as a great panoramic view of the city from the top of the church. Take the 2 minute elevator ride up and enjoy colourful houses covering the city below. From the city you can also book whale watching with one of the many tour companies around. These trips last anywhere from two to three hours and are well worth the price. Often you will be able to see minke whales, humpbacks, dolphins and porpoises but don’t be too disappointed if you don’t see them all as tour companies cannot guarantee this will happen. May through September is the best time to increase your chances of capturing special moments with these beautiful mammals. The south coast is often visited by tourist due to its beauty and adventure. Here you can hike the Sólheimajökull glacier that extends from the Mýrdalsjökull glacier. You will need to have a guide as they will provide the appropriate ice gear and safety equipment. It is an easy to moderate hike lasting 3-3.5 hours and is an unforgettable experience costing around £65. If you would rather keep your feet on solid ground then head to Landmannalaugar. This area is full of multicolored rhyolite mountains, lava fields, geothermal hot springs and the Hekla volcano. You can explore this area by hiking or horseback riding and ideally the summer is the best time to go but it is beautiful all year round. Iceland: more affordable for tourists.